At AS-level, comparison often needs you to think about the whole collection, which can feel a bit overwhelming when you’ve got fifteen poems and a closed-book exam facing you! Throw everything you know down on paper! A great one if you’ve got access to an empty classroom and a board pen, or get some cheap wall lining paper from B&Q for a fiver! Allow yourself the index of the collection, and use that as a springboard to write everything you can remember – key words or phrases, terminology, context, poetry links and interpretations you’ve discussed. This is also a great way to identify poems you can’t recall very well and need to revisit. For each poem, make a card including: the main interpretation; a selection of quotes; the important elements of form and structure; key themes; links to other poems. Use past essays you’ve written, too – if you’ve written about the same quote over and over, then chances are it’s an important one to remember! Either use read-cover write to test yourself, or join with a friend and quiz each other. Mix up the order of sections to really get your memory working! What imagery do you remember from across the collection? 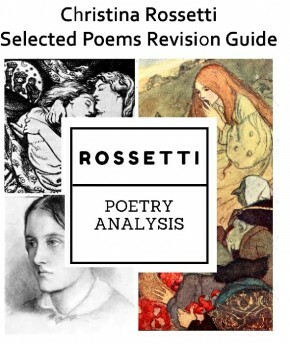 Use each image as the centre of a mind-map = so for Rossetti’s collection for OCR you might start with a door, then think about nature, breaking that down into birds and the different kinds across the collection. Most of these questions start with a printed/named poem, then ask you to compare across the collection – so use that structure in your revision to become confident. Read one poem in the collection – put its name in the centre of your paper, and then write as much as you can. Start by adding a theme, then branch off to imagery, structure, form, other poems, context. It’s a mind-mapping version of your flashcards: these are different ways of doing the same thing, because that’s how your brain recognizes how to move things into long-term storage, when it’s effortful, and turning information into different formats can strengthen the connections between each idea. The question’s asking: how typical is this of the poet’s work? So how would you describe the poet’s work to someone else? Obviously the poet isn’t always writing from their own perspective, but we can draw some conclusions about them from their frequent themes and concerns. Christina Rossetti, for example, is extremely religious but doubts her faith a lot, and has difficulty believing her value in this way. 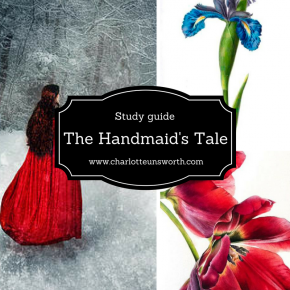 She struggles with the conflict of being a woman in Victorian society, and believing that women should have rights over themselves, and the additional conflict of Biblical interpretations. She feels love very intensely. Then, you can link these impressions to the poems that have shaped this impression. Create a “connect the dots” with the names of the poems. Draw an image on paper – a shape, or picture. It can either be an outline you draw, or you could draw an outline onto something you’ve printed off that will be memorable. Start with one point and add the title of a poem. 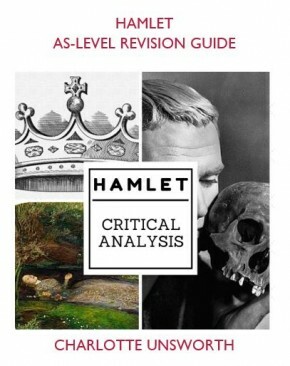 Then, go to the next point and add a connected title – try to decide what the connection is between the two (these revision tips are all about linking the poems together!). Work your way around the shape. Use the outline, or a blank version of the image, until you can recreate the trail and its connections. Write the major themes across the top of a piece of paper, and the poems’ titles down the left hand side – without looking the index! For each poem, tick across the grid to identify which themes it demonstrates – then you have a handy comparison grid. You can also do this with emotional tone, or imagery. If you had to summarise the entire collection – what would you choose? Deciding something this specific is great, because it forces you to really think about what you think the poet stands for, their key ideas and interpretations, and to decide on something that you can really explain has relating to al those different ideas. Working in a study group, you’re also bound to come up with different quotes – so then you have a range of really excellent quotes between you that you can learn. 11. Plan and write sample answers! Yes, there’s a sneaky 11th! The top ten are great for consolidating your knowledge of the collection and really getting to grips with the poetry. But you’ve got to be able to put that into words, and paragraphs, and an essay. Use the question format, come up with questions, and practice – I recommend five minutes’ planning, then the rest as writing time. Timing is crucial. So is volume. Unfortunately, you can write the best paragraph possible but if that’s all you write, you’re limited because all these kinds of questions need a range of ideas and interpretations. So practise writing. Time yourself and aim to get to 2-3 sides of exam paper. Challenge yourself to write faster. Practise your handwriting and, mad as it might sound, stretch your hand! It’s amazing how much it can hurt after an hour if you’re not used to it. https://www.youtube.com/watch?v=O6rjmUsqa9g is less than four minutes, with some finger stretching exercises to keep you mobile!